Wine of Portugal. 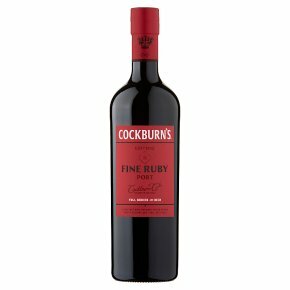 Cockburn's Fine Ruby is a full-bodied Port with ripe red-fruit flavours, balanced with a fine structure. Perfect at the end of a fine dinner or simply to enjoy with friends.